I like the new Ash Street layout! The Fisherman’s Walk – with the beautiful clock tower and trawling artefacts have transformed a main thoroughfare of our town. The scheme has brought a touch of class to an area which was drab and a hotchpotch of roads. Congratulations to all who designed, created and paid for it! Let’s hope more can be done to brighten up the rest of Lord Street. After all it is our main street and through the years hasn’t changed much. Shops have changed and Fleetwood folk have fond memories of a bustling Lord Street and equally busy Dock Street. Another street which runs parallel to Lord Street and Dock Street is Blakiston Street. This is a wonderful wide street but it has changed its character, at least a dozen corner shops have disappeared. It was the new St Mary’s Roman Catholic School which prompted my thoughts. I remember the old one – in the fifties – when Mr Drummond was headmaster and this was his domain. Next door to the school was the Co-operative Dairy with its white tiled facade and the fascinating view of the milk bottling process. And behind there were the stables where the horses which pulled the coal carts lived. And with 3 schools on its length, Blakiston was always thronging with children. Besides St Mary’s – with pupils streaming up the street – there was Blakiston and Milton Schools – with pupils streaming down Blakiston Street. Now Blakiston School has been demolished and Milton is no longer a school. 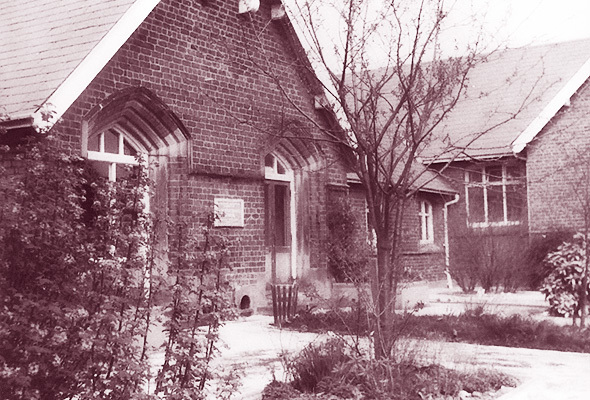 The infant school was pulled down in the 1980s amid many protests. St Margaret’s Church has been replaced by a block of flats, King Street and Queen Street – full of quaint cottages have gone. And the shops! Well, nearly every corner had one! A favourite with the children was Coulbourn’s Haberdashery on Poulton Street corner. You could buy baby cooling powder for one penny – a substitute for sweets! Three shops once stood where the Spar shop is. There was Haffey’s Newsagents on Mount Street corner, Cowen’s haberdashery and drapers, and Harrisons the grocers. Across the road was Alban’s the clog shop – a source of great interest to the children. Yes Blakiston Street was a shopping centre in itself. You could buy almost anything from one of its many shops. It served its community well. The only shop which has kept its character and appearance is the men’s barbers on the corner of Warren Street, run by Ken Wray whose father Carl established the business. Yes times change – but our memories remain!